Is mental illness really on the rise? Part of the show Why is There Always Room for Dessert? Is mental illness really on the rise in young people, or are we just becoming more aware of it? Is mental illness on the rise? Cambridge University neuroscientist Anne-Laura took on this question. Anne-Laura - Right. I think the answer is both really. Adolescence is a really important time period for the emergence of mental health disorders. And we know that by age 14, 50% of all mental health disorders have emerged. And by age 18 it's about 75%. So adolescence in itself is a really important time period where the majority of mental health disorders first emerge. 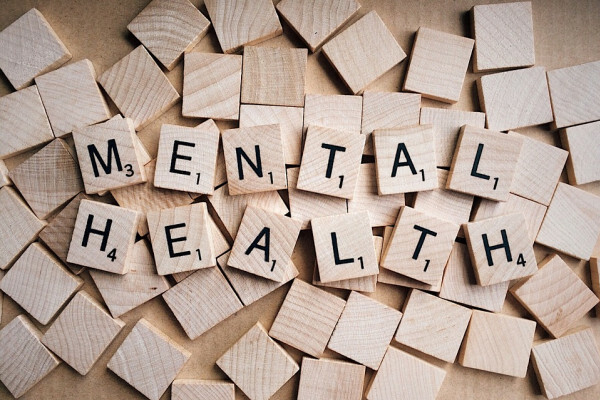 And what we also know is that about 1 in 10 children in adolescence have a diagnosable mental health disorder but in the last couple of years the number of children in adolescence with a mental health disorders has been rising and this is particularly prevalent in girls. And a good example of that is that there is a 68% increase in the number of adolescents hospitalised for self harming behaviours and the self report of self harming behaviour has increased substantially from 1 in 20 to 1 in 4. So there's definitely a very clear pattern of emerging and increasing mental health problems in youth. Giles - How much of this do you think can be social media driven. You know because you know, orthorexia, where you actually are, this eating disorder where you like to eat perfectly from Instagramers and things. I mean how much you think is driven by social media. Anne-Laura - So there is actually really good research done in the last couple of years about the effects of social media on adolescent mental health. And actually the effects are really really little and it seems to be the case that little use of social media is actually beneficial. But then a lot a lot of use is not beneficial but social media use research is really complicated by the fact that most studies actually look at screen time now, what what does screen time mean, they count chatting with your grandma on the face time is the same as looking at a pro-ana website for instance. So you have negative interactions and positive interactions that are all kind of cluster together. So it isn't social media in general that we need to look at but it's what are they doing on social media. Chris - Returning to the original question do you think then that we are seeing a big increase in mental illness in young people or we are just becoming much better at spotting. I know you said is a little bit of both. Anne-Laura - No there is, there is a really clear evidence really that the prevalence of mental health disorders in youth is increasing. So and it's definitely also the case that we're more aware of it and we're talking more about it but that is unrelated to the increase. Previous Can animals mate in space? Next Can dark matter make dark stars? How does upbringing affect your mental health?